it is than any previous version of Windows. and click on Link your phone. send text messages right from your computer. meshing your mobile and Windows 10 productivity into one. and enable both Clipboard and Sync across devices. 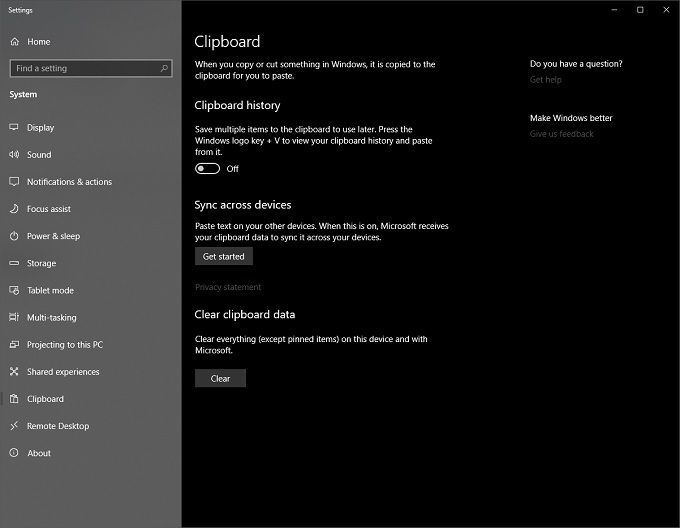 Microsoft account and access the same clipboard items. capture to a whole new level. your Windows 10 install with the latest updates. Press Shift–Windows Key–S to start your screen capture. 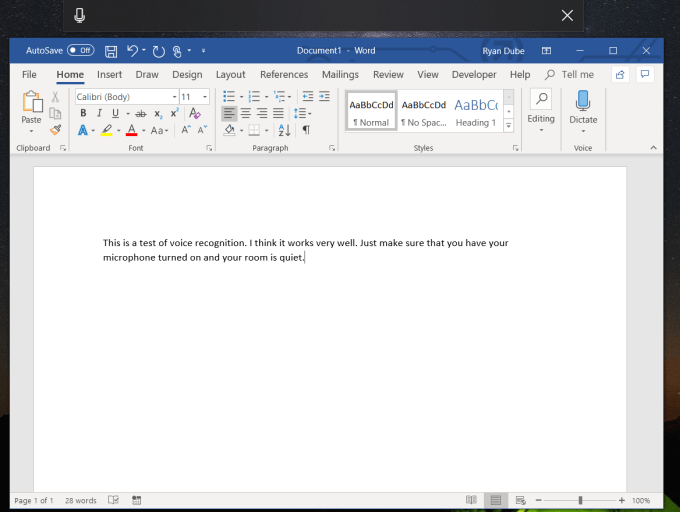 recognition and voice typing is now built right into the operating system. 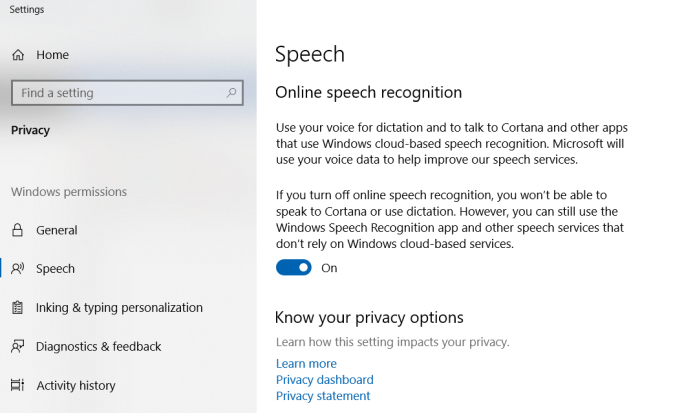 and enable Online speech recognition. inserts the correct terminating character. having IM conversations with friends. 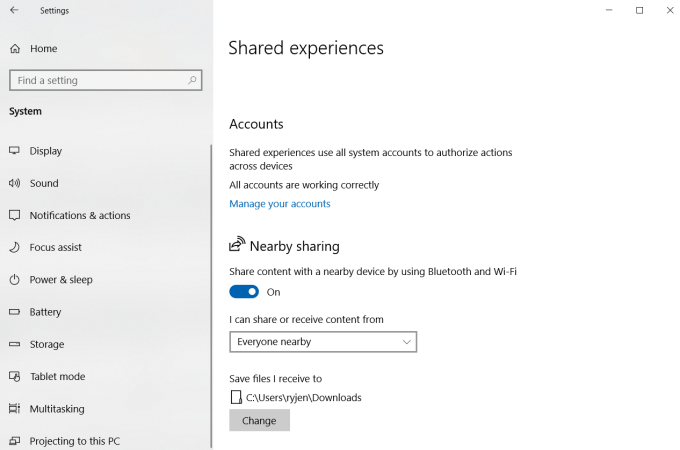 Edge, you’ll see Skype listed in the options at the bottom of the share window. were so easy to find in the traditional start menu. This is a very cool trick that only works in Windows 10.
down to the bottom of the screen to shut down your computer. drag the bar to the bottom of the screen to shut down the PC. Just right-click on the desktop, select New, and click Folder. true. It’s everything you need at your fingertips. the Cortana search field. It looks like a film strip. 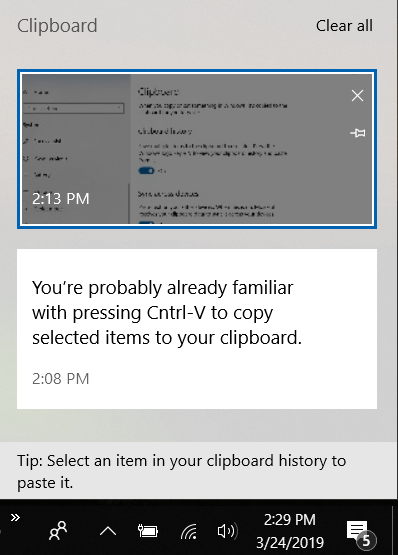 previously open) app or file just by clicking on it in the task view. Desktop icon at the top of the Task View. and watch the effects of each command you type. connected to your Wi-Fi network or connected to your computer via Bluetooth. enabled for this feature to work. can make things edgy by switching to File Explorer Dark mode. the traditional File Explorer, but it’s also a lot easier on the eyes. a convenient notifications area on their Windows 10 machine as well. listed above and enhance your productivity and overall Windows experience. can spy on users or what happens with that information. the world’s most widely-used operating system. want you to mess with. catch hackers and malicious web software that try to hack your machine. Network monitoring is an essential task of every network administrator. To help them, plenty of network monitoring tools do exist. However, the vast majority of them are out of reach for smaller organizations. The reason could be financial—some of these tools can cost a small fortune—but they could also be practical. Many SMBs simply won’t deploy a server just for the sake of monitoring their network. Some of them only have one server and are perfectly happy with that. This is the type of situation when you might want to start looking for Windows 10 network monitoring tools. Today, our first order of business will be to explain what network monitoring is. As you’ll see, there are about as many answers as there are people answering. Then, we’ll describe how network monitoring works. Of course, different types of systems work in different ways but we’ll cover the basics. Next, we’ll introduce a few of the most common network management protocols which are typically used by monitoring tools, such as SNMP, WMI or WBEM. We’ll then discuss the specific case of monitoring networks from Windows 10. 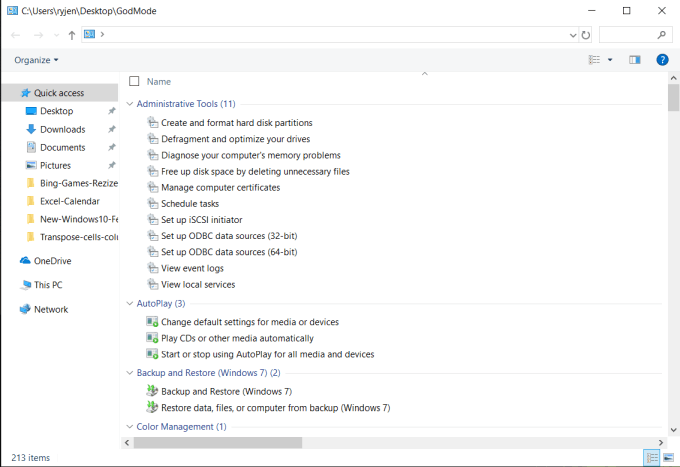 A typical Windows 10 computer is rarely as powerful as a dedicated server and this can seriously limit the monitoring abilities of the platform. Finally, we’ll review some of the very best Windows 10 network monitoring tools. Network traffic is very similar to road traffic. Just like network circuits can be thought of as highways, data transported on networks are like vehicles travelling on that highway. But as opposed to vehicular traffic where you just have to look to see if and what is wrong, seeing what’s going on on a network can be tricky. For starters, everything is happening very fast and data transported on a network is invisible to the naked eye. Network monitoring tools let you “see” exactly what is going on on your network. With them, you’ll be able to measure each circuit’s utilization, analyze who and what is consuming bandwidth and drill down deep into network “conversations” to verify that everything is operating normally. There are basically three major types of network monitoring tools. Each one goes a little deeper than the previous and provides more details about the traffic. First, there are bandwidth utilization monitors. These tools will tell you how much data is transported on your network but that’s about it. For more information, you need another type of tool, network analyzers. Those are tools that can give you some information on what exactly is going on. They won’t just tell you how much traffic is passing by. They can also tell you what type of traffic and between what hosts it is moving. And for the most detail, you have packet sniffers. They do an in-depth analysis by capturing and decoding traffic. The information they provide will let you see exactly what’s going on and pinpoint issues with the greatest accuracy. Most bandwidth utilization monitors rely on the Simple Network Management Protocol or SNMP to poll devices and get the amount of traffic on all–or some–of their interfaces. Using that data, they will often build graphs that depict the bandwidth utilization over time. Typically, they’ll allow one to zoom into a narrower time span where graph resolution is high and shows, for instance, 1-minute average traffic or zoom out to a longer time span–often up to a month or even a year–where it shows daily or weekly averages. The Simple Network Management Protocol–or SNMP–can be used to remotely monitor and configure networking equipment. Despite its name, it’s not exactly simple, though, and implementing it can prove to be a daunting task. SNMP-enabled devices make a certain number of parameters–called OIDs–available. Some are modifiable configuration parameters, allowing one to change them while others are read-only counters. When it comes to bandwidth monitoring, we’re specifically interested in two OIDs. They are called bytes in and bytes out. By reading these values at precisely timed intervals, The number of bytes per unit of time–which is exactly what bandwidth is–can be computed. Most networking devices, like switches and routers, have one such set of OIDs for each of their interfaces. Typically, a network bandwidth utilization monitoring system will poll each device at 5 minutes intervals. It will then subtract the previous value of the counter from the current one to get the number of bytes transferred in five minutes. It will multiply that number by 8 to get the number of bits. And finally, it will divide it by 300 to get the bandwidth in bits per second. In addition to the bits in and bits out counters, some bandwidth monitoring system will allow one to monitor other parameters. For instance, there are interface input errors and interface output errors OIDs that can be polled to compute the error rate. If you need to know more than the amount of traffic passing by, you need a more advanced monitoring system. What you need is what we refer to as a network analysis system. These systems rely on software that’s built into networking equipment to send them detailed usage data. These systems can typically display top talkers and listeners, usage by source or destination address, usage by protocol or by application and several other useful information about what is going on. While some systems use software agents that you must install on target systems, most of them rely instead on standard protocols such as NetFlow, IPFIX, or sFlow. These are usually built into equipment and ready to use as soon as they are configured. Originally created as a way of simplifying the creation of access control lists, NetFlow was developed by Cisco Systems. Engineers quickly realized that the collected data could be put to a different use by exporting it to a device that can analyze that information. NetFlow uses a three-component architecture. The exporter which runs on the monitored device aggregates packets into flows and exports flow records to a flow collector. The flow collector handles the reception, storage and pre-processing of the flow data. Finally, the flow analyzer is used to analyze received flow data. Many systems combine the collector and analyzer in one device. Once exclusive to Cisco devices NetFlow is now commonly found on equipment from other manufacturers. It can go by other names such as Jflow on Juniper equipment. The latest version was even made as an IETF standard called IPFIX. There is also a competing system called sFlow from inMon which is also present on several brands of networking equipment. And although NetFlow and sFlow are considerably different in the way they operate, many monitoring systems can handle both protocols. Network monitoring tools are typically big pieces of software with horribly demanding requirements. For instance, one of the most popular of them, the SolarWinds Network Performance Monitor requires no less than two dedicated servers to run, one for the application and one for its database. So, unless you manage a huge network and you need a tool that can easily scale up, these systems may not be for you. And they don’t only have demanding hardware requirements, they also often need considerable efforts to get them to run the way you need it. Again, a large network might very well justify the efforts but SMB could have a harder time. And let’s also mention the price as some monitoring tools are out of the reach of many. For smaller organizations, monitoring from a Windows 10 computer could make more sense than having to dedicate one or more servers to monitor the network. Of course, the limited resources of a Windows computer, as compared to a dedicated server, could limit the monitoring abilities of the platform, and they often do. In fact, several of the Windows 10 monitoring tools available are only able to monitor the local computer where they are installed or a limited number of external computers. This has more to do with the underlying hardware than the operating system, though. For instance, Windows 10 computers rarely have more than one processor socket. Likewise, they will typically support much less RAM than servers. 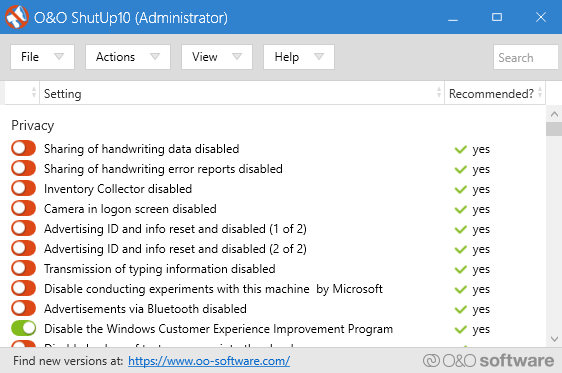 As we’ve previously indicated, most of the Windows 10 monitoring tools we could find are quite limited. We could only find one system with a feature set that is comparable to the big well-known monitoring platform. The other tools are smaller tools with much more limited capabilities. So, let’s have a closer look at each of them. SolarWinds is the publisher of some of the very best network and system administration tools. The twenty-year-old company has gained a solid reputation and its flagship product, the Network Performance Monitor, consistently scores among the top SNMP monitoring tools. Like that wasn’t enough, SolarWinds also makes several free tools, each addressing a specific need of network administrator. The Advanced Subnet Calculator and the SolarWinds TFTP Server are two excellent examples of those free tools. Among its huge product portfolio, SolarWinds offers an integrated monitoring solution that goes by the name of the SolarWinds ipMonitor. This integrated tool offers essential up/down and performance monitoring for networks, servers, and applications. It uses many standard protocols including WMI and SNMP to provide agentless, monitoring of systems, devices and applications. The SolarWinds ipMonitor has auto-discovery to quickly discover infrastructure components. It will also recommend SmartMonitor settings. These two features make setting up the product simpler and faster. Furthermore, it includes its own embedded web server and database for an even simpler, integrated installation experience without the need for installing separate components. The tool boasts an easy-to-use web interface and network maps which can give you a clear, at-a-glance view of your environment. It can send customizable alerts and reports to help ensure you are the first to know about issues or application failures. In addition to alerts, it also has automated remediation capabilities to minimize downtime. The SolarWinds ipMonitor web-based interface offers centralized summary views that are fully customizable. It will provide much-welcome visibility into the health of your whole infrastructure. The tool’s dashboards make it easy to identify problem areas at a glance, letting you resolve issues quickly. The system’s user interface supports drag-and-drop, making it easy to add and remove elements from the views and helping ensure you have all the reports, statistics, and gauges that you need, right there at your fingertips. Price for the SolarWinds ipMonitor starts at $1 495 for up to 500 monitors. This one-time cost includes the first year of maintenance. If you want to give the product a test run before purchasing it, a free 14-day trial is available. The Antamedia Bandwidth Manager is actually a bit more than just a monitoring tool. As its name implies, it is a bandwidth management platform. It can run on any desktop version of Windows since Windows XP as well as on current Windows Server versions. The software includes a feature to block unwanted sites and gives you over 100 filtering options to manage what content you would like to block. The tool can also help you optimize your traffic—for instance when you have multiple devices sharing a bandwidth-limited internet connection—in order to limit traffic consumption. The product’s free trial version will let you monitor and control up to 3 devices. 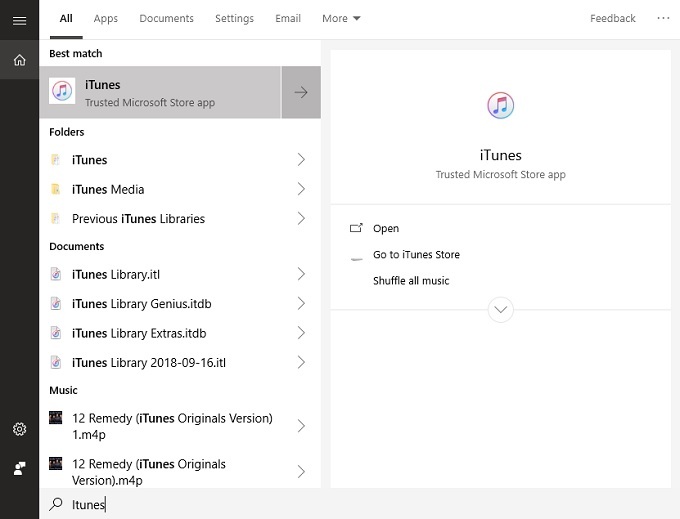 If you want to have access to more devices – you will have to buy the full version. The tool will let you control the download and upload speed for all devices/users on your network. This tool is specifically targeting small public Internet access networks such as those you’d find in small businesses, schools, and cybercafes. The GlassWire network monitor allows you to visualize your network utilization by location, application, and traffic, on easy-to-read graphs. The tool will also let you view historical traffic data from up to 30 days back. You can use the tool to identify the cause of a casual spike in your network activity and avoid it in the future. There’s also a security element in GlassWire and it will alerts you about hosts that are known threats, unexpected network system file changes, network spikes, ARP spoofs, and DNS changes, allowing you to quickly take corrective actions. This tool also works remotely so you don’t need to be in front of your computer to remotely monitor and block suspicious activity on the computers or servers that the tool is configured to monitor and manage. Furthermore, GlassWire includes a built-in firewall which is a great tool to intercept network threats and stop them before they can cause damage to your system. 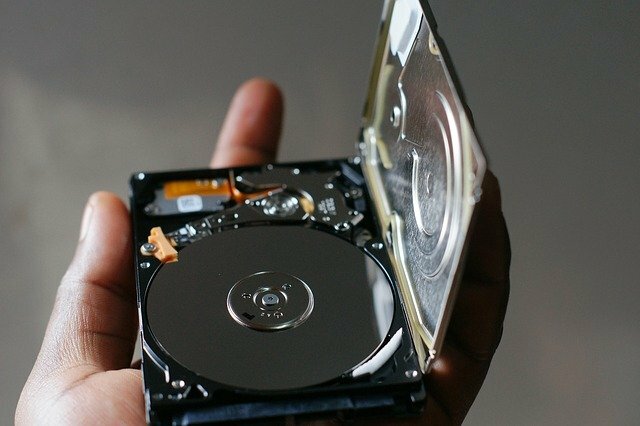 It can help you detect what current and past servers your PC is communicating with, allowing you to get rid of potential threats. NetWorx is an excellent example of a smaller tool designed to measure your Internet speed as well as your bandwidth consumption. This free tool allows you to track specific connections, such as your wireless or mobile connection, or all connections simultaneously. Its main limitation is that it will only monitor the local computer where it is installed. But it does more than just monitor it. One feature of NetWorx we found particularly useful is how it lets one set data quotas and get warnings when certain limits are exceeded. A network usage graph is also available with this tool, allowing you to easily monitor how much bandwidth are you currently using. In addition, the tool provides a detailed report which allows you to see how much bandwidth is being consumed on a daily, weekly or monthly basis. You can also see how much bandwidth each user on the computer uses. NetWorx is an excellent yet limited tool for bandwidth monitoring. Its main drawback is the lack of a detailed report that could display bandwidth consumption by individual applications. BitMeter OS is an interesting open source monitoring tool. It is one of these tools that will not monitor external devices, though. All it monitors is the computer where it’s running. The tool starts whenever you boot your PC and it runs in the background, monitoring your bandwidth usage. When you want to view your bandwidth consumption, you can either use your web browser or a command line interface. The tool can not only show you your current bandwidth usage, but it can also display your bandwidth usage over the past days or weeks. In addition, you can see a summary for the current day, month, or year. For even greater flexibility, you can also display a summary for specific days. All of the tool’s reports can be exported in CSV format. The tool will also let you set an alert to be triggered when you exceed a certain bandwidth threshold. BitMeter OS is a simple tool, and although it doesn’t offer much in terms of advanced features, it could be the ideal tool for a computer user who wants to keep a close eye on their bandwidth usage. FreeMeter is a basic bandwidth monitoring tool for Windows 10. This is another tool that will only monitor the computer where it’s installed. It has an unimpressive interface that consists of a live graph showing your current network usage. The graph—actually the whole user interface—can be minimized and it will remain active in your taskbar. As for the graph itself, you can customize its update frequency, its scale, its colour, and its transparency. This is as basic as can be but it had the advantage of not putting too much load on the computer where it’s running. There’s more to this FreeMeter than just its graph, though. Double-clicking the graph opens up a report window that shows you your weekly, daily or monthly bandwidth consumption. And just like you could do with the previous tool, you can set alerts to be notified when your bandwidth consumption exceeds certain limits. 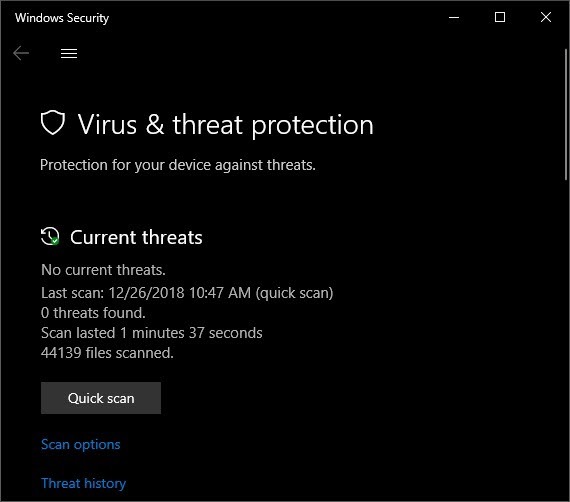 Every October Microsoft releases a major update to Windows that (hopefully) fixes the biggest bugs and gripes, while also bringing new features into this OS-as-a-service product. 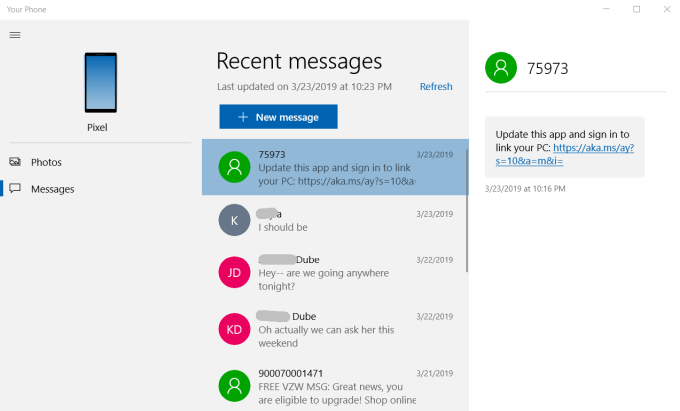 While there were quite a few problems with the 2018 “1809” update that caused a two month delay, it should now be available through the regular update service. If you’re already running 1809 or are just looking forward to it, here are some feature highlights you can look forward to in the newest Windows version. Finally, Dark Mode for Explorer! 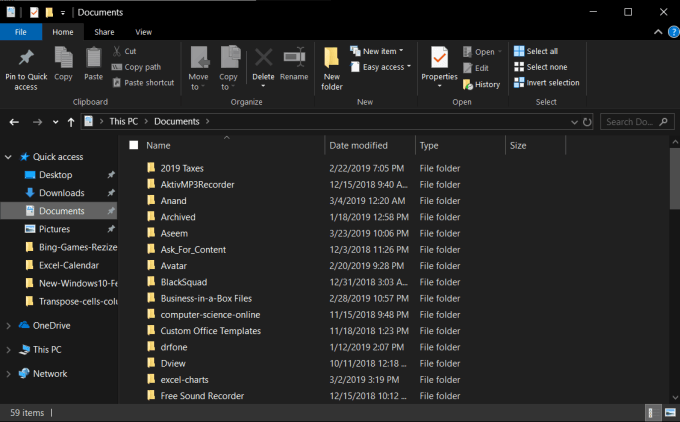 Microsoft already provided a Dark theme in a previous update, but unfortunately Windows Explorer itself retained its white background. Dark modes and themes are pretty much everywhere these days. Not only do they make screens easier to read in the dark, they reduce screen power consumption. Most importantly, they look pretty cool to boot. 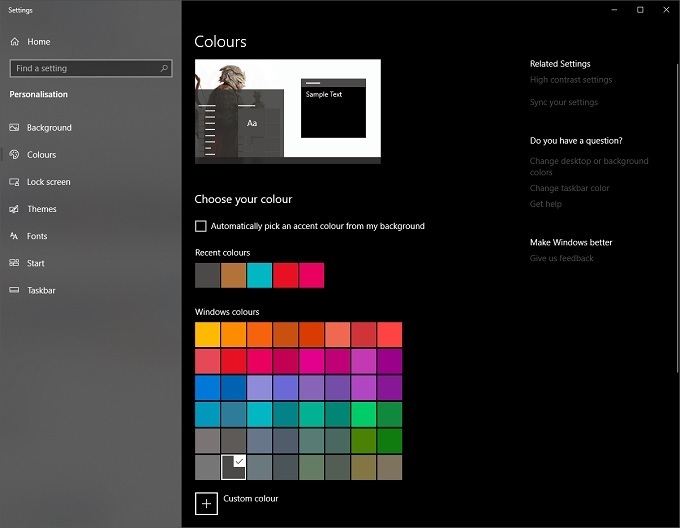 Enabling Dark mode for Windows apps couldn’t be easier. 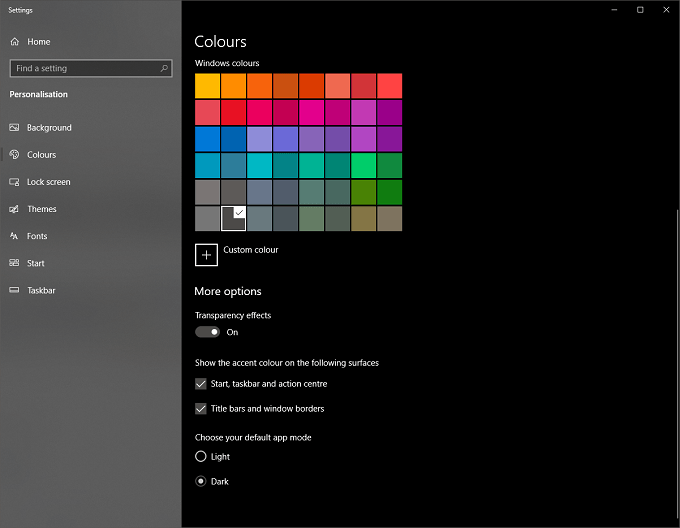 First Go to Settings – Personalization – Colors. Now scroll down to the bottom of the window. Under Default App Mode choose Dark. Now Windows Explorer will have a dark background and your eyes will thank you. 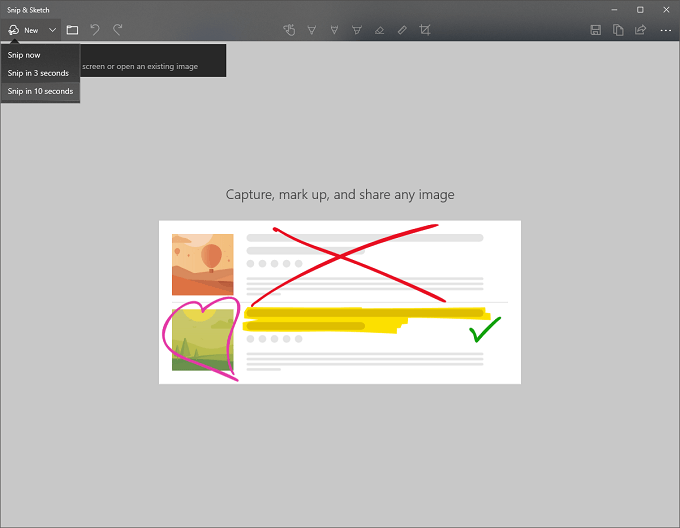 Windows 10 had much better support for screenshot editing out of the box than previous versions. However, the tools available were a little fragmented and with the 1809 update there is now one tool to rule (and replace) them all. The Snip and Sketch tool. You can find this tool with all your other apps or by simply typing its name in the Start Menu search bar. With it you can easily capture and edit screenshots with ease. Like it or not, smartphones are now a part of almost everyone’s daily life. 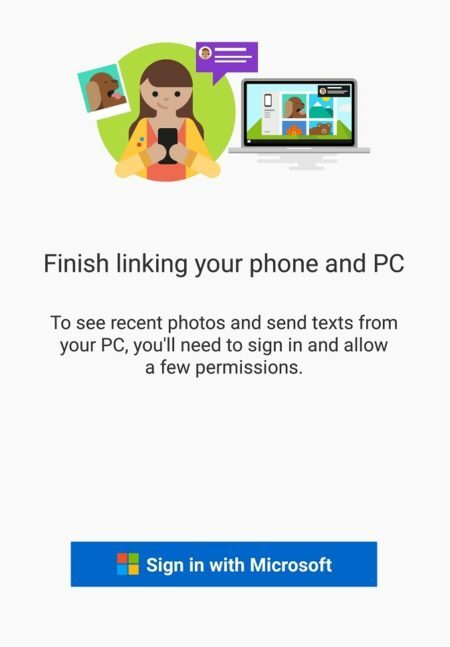 So Microsoft has decided to integrate Android phones into the Windows Desktop using a new application known as Your Phone. 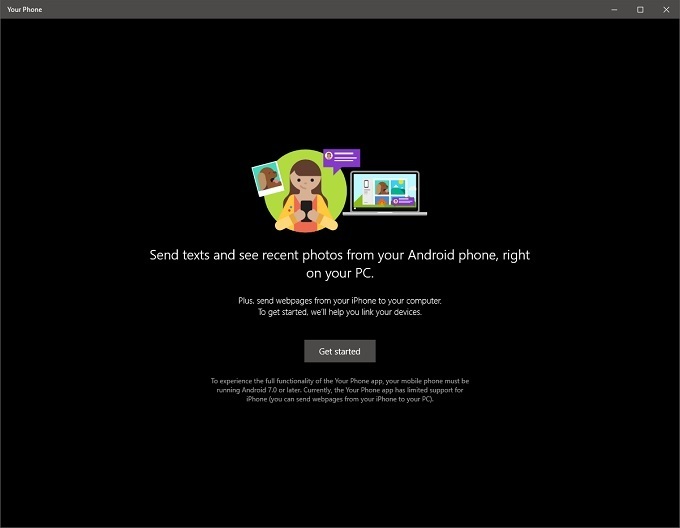 There is no indication when or if other phone OSes will ever be fully supported, but if you have an Android smartphone you can now send texts and view photos. There are also some limited iOS functions. Specifically sending web pages from your iPhone to Windows. You can find the app among your other Windows apps. 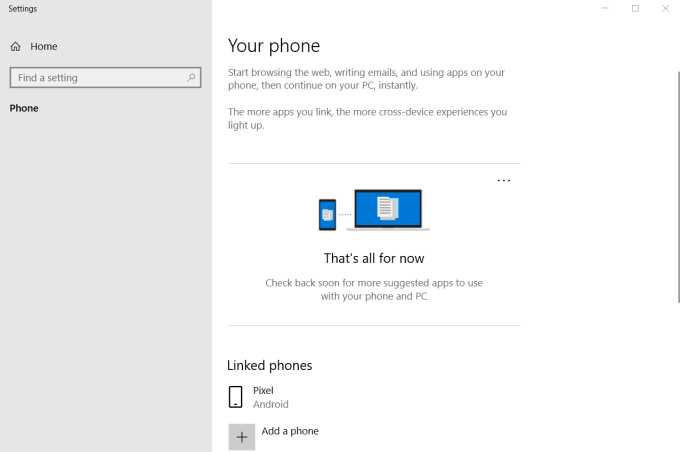 The fastest way to access is is by searching for “Your Phone” it in the Start Menu. To link your phone, just click “Get Started” and follow the prompts. Then enter your number here. Enter your number and click Send. 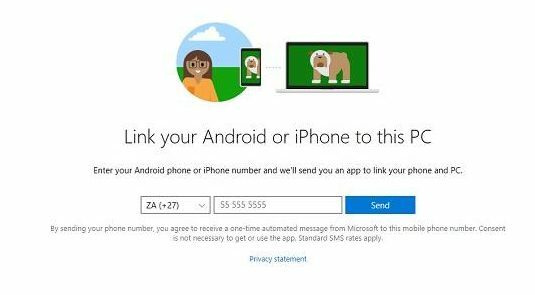 You should receive a text with a link to the Your Phone Companion app. Install it and then open it. 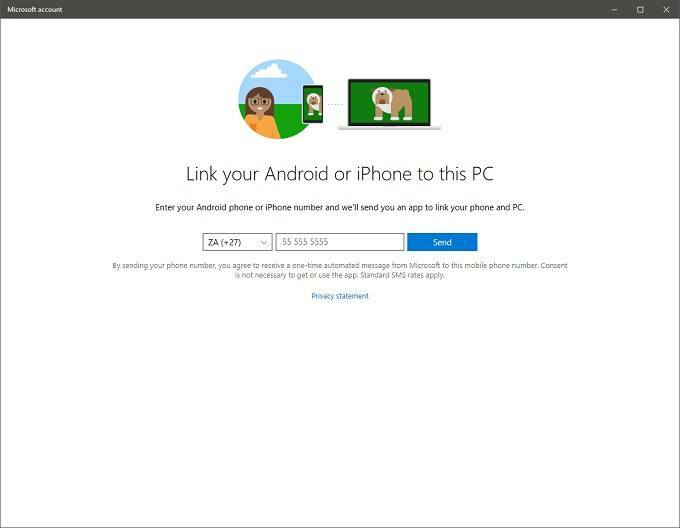 Now you just need to sign in with your Microsoft account to complete the link. Now you’re ready to start sharing content between your phone and Windows desktop. The search functions in the Start Menu have been expanded substantially. Now when you search for something you’ll see several tabs to categorize the results. There are also more relevant web results, with shortcuts to download or install an app. The search itself is also now much faster, coming up at the same time it takes for the Start Menu itself to appear. The humble Clipboard has also received a major overhaul. Now when you copy something to the Clipboard there are more things you can do than just paste it somewhere. For example,you can now stack your copied items by activating the Clipboard History. If you press Windows+V then you can see that history and pick the item you want to paste. 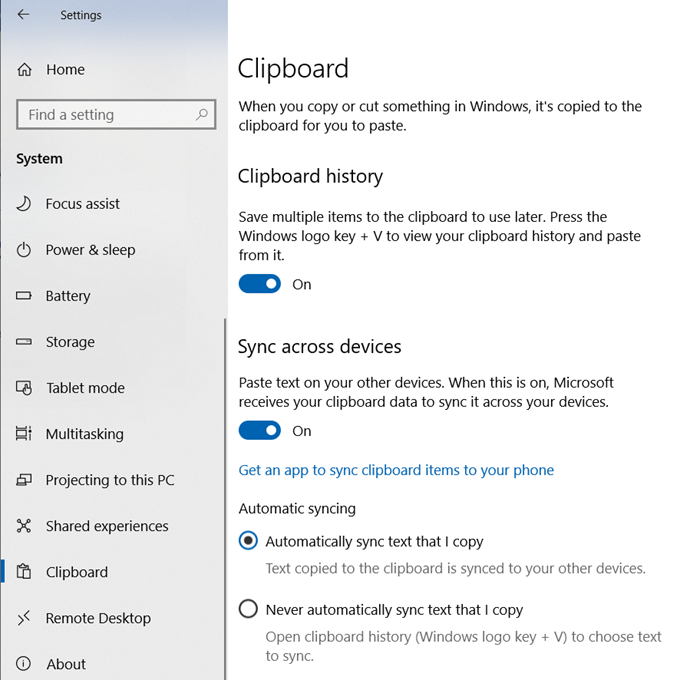 You can also choose to sync clipboard data to the cloud and then to you other devices. The Windows 10 of today is already much more mature and refined than when it first launched. Despite a rough start, the 1809 update has brought some truly useful and welcome changes to the system. Enjoy! 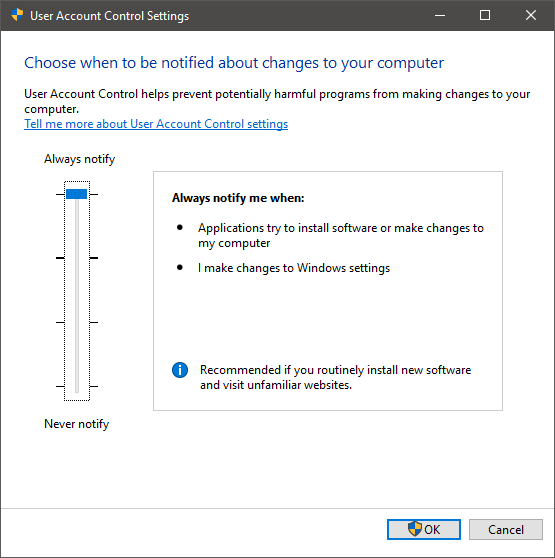 The post The 5 Best New Features in Windows 10’s 1809 Update appeared first on Online Tech Tips.